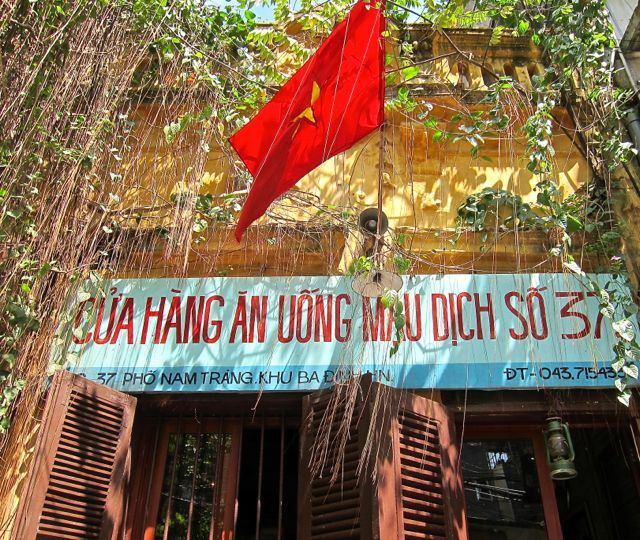 Hidden in one of the streets a block away from Ho Truc Bach Lake, this restaurant attracts many locals. When we went for lunch the other day, we waited for 10 minutes for a table but it was worth the wait. We did not mind as we got into the display of old ordinary things people in Hanoi used in the past from tin plates to water containers to old radios. 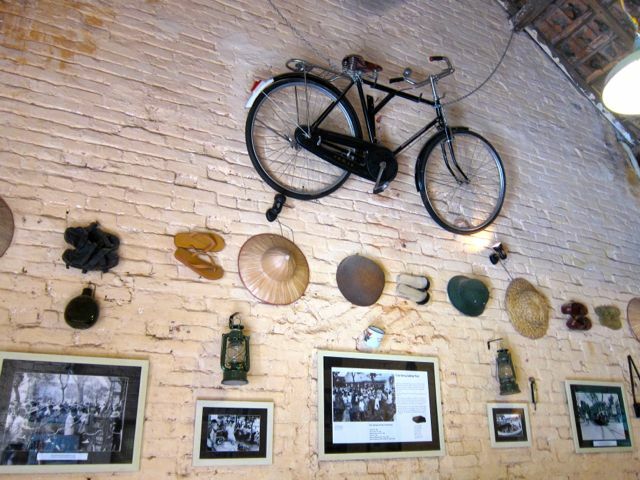 As you can see, right in the restaurant's entrance, the main decor is an old bicycle, reminiscent of the times when this was the popular mode of transport in the city. 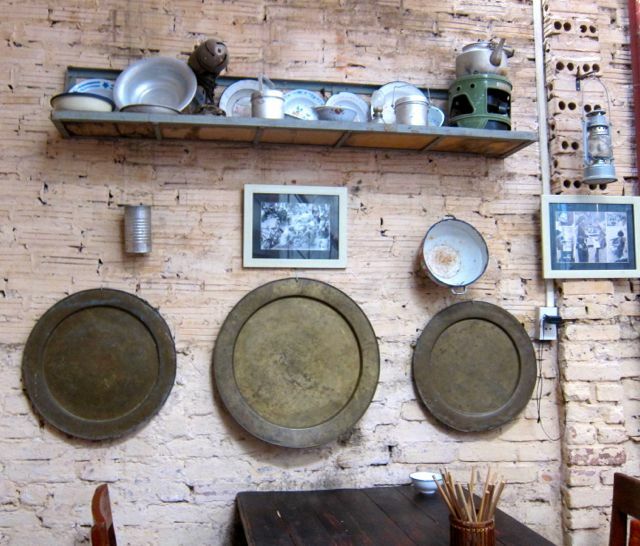 This decor is carried to the inside of the restaurant where the walls are decorated with old pictures of Hanoi, old lanterns, hats, cups and slippers. Quite an interesting mix. For food, traditonal food is served and not only is it an experience of the traditional taste of Hanoi food, it was very tasty. Just as during that time when rationing was the practice, we used coupons to order our food. 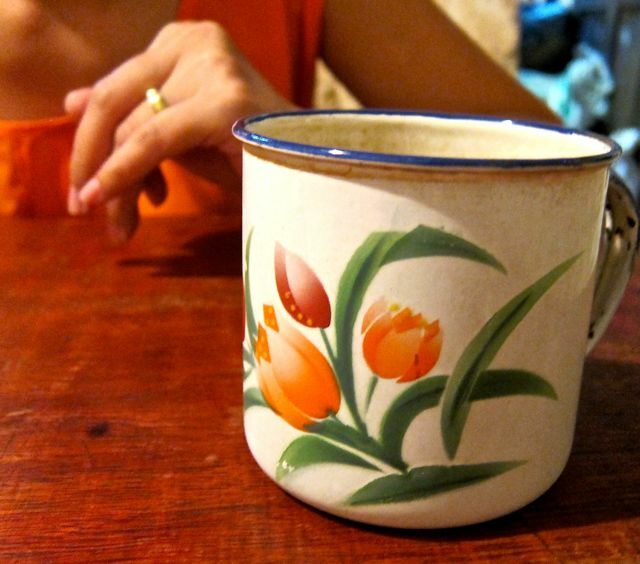 My Vietnamese friend told me of stories of her mother and older sister lining up to get whatever is available. It was war time so they have to make the necessary sacrifices. Food was served in the same thin metal plates that were used then. The drinks are in metal cups as well. 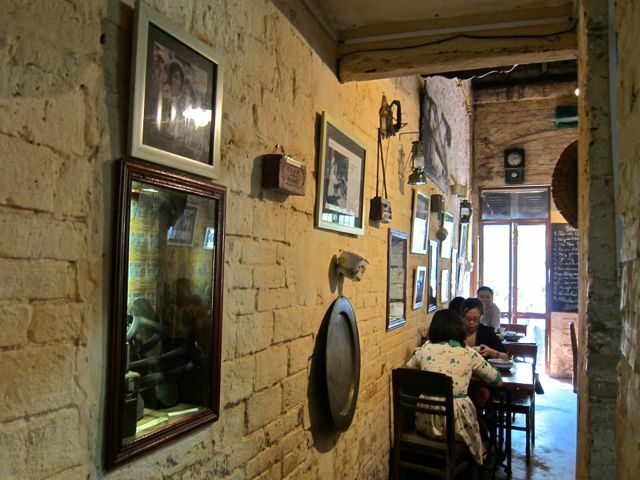 Eating in this restaurant is like partaking of the experience people in Hanoi had at that time. Not much, though, because the rations are not limited. You can order as much as you want. Still, it brings something of history to your consciousness. 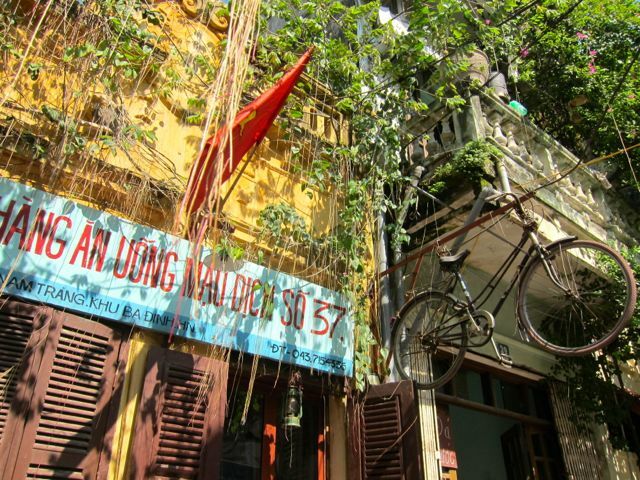 Before you leave, check out these sites to know more about Vietnam.